This list is not exhaustive, it does contain the most common eye disease that are affecting people today. Are You Color Blind? Take a Color Blindness Test to find out! Do you have color blindness? It’s easy to find out: tell me what you see here. If you can’t make out the ‘6’, ‘0’ or ‘4’ in the 3 circles of this Ishihara color chart respectively, chances are, you have protanopia, deuteranopia, or tritanopia. What’s that again? Haha, I don’t mean to be too scientific here. 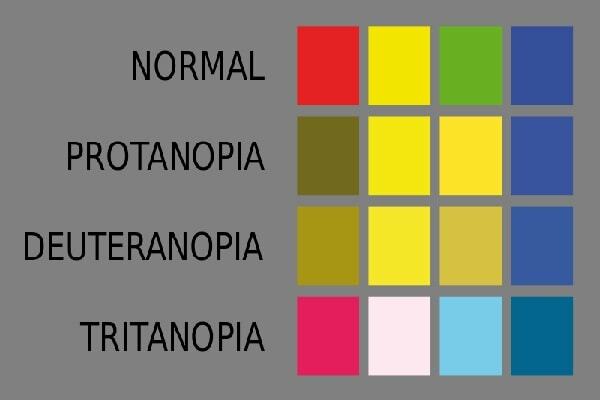 Protanopia, deuteranopia, or tritanopia are just terms to describe people’s inability to distinguish between red-green, blue-yellow, and the green range respectively. When someone is blind to colors, he/she is not able to distinguish between different colors. Men are almost 20 times more likely to suffer from this than women. That makes about 8% of the male population and 0.5% of the female population. People who have such eye disorders are usually only partially blind to colors and find it difficult to tell the difference between green and red. Those who are completely color blind can only see in black and white, as well as different shades of grey. However, this eye problem has nothing to do with visual acuity. So unless you are looking for a job where being able to recognize colors is important (like those traffic related ones), this shouldn’t pose a big problem to you. Usually age-related, macular degeneration occurs when cells in the macula begin to degenerate, and leads to blurred vision, and ultimately, even blindness. During my research. I discovered that there are 2 main forms of MD. Standard MD and Age-Related MD, where the latter is most common. I won’t elaborate on these, since they are very rare, and can get very technical. Don’t want you to feel like you are reading another language altogether! What’s the difference? Well, in dry-MD, fatty tissue (called drusen) accumulates behind the retina. When blood and other fluids begin to leak as a result of abnormal growth of blood vessels under the retina, this becomes wet-MD. If neglected, unfortunately, the macula can become completely damaged. Yes, that essentially means blindness. Now, how will we know if we are suffering from MD? Here are a few symptoms we can take note of Vision becomes blurry. This happens more quickly if it’s wet-MD. What you see with your eyes have some areas that are missing or seem like shadows. Vision becomes distorted. Straight lines appear curvy, or certain areas seem blank. Difficulty when it comes to distinguishing colors, or rather, it becomes difficult to tell a dark color from a dark color, and a light color from another light color. 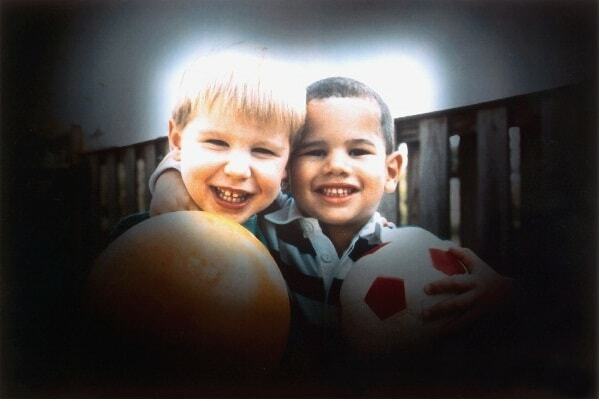 After exposure to bright light, the eyes take a long time to regain normal function. There are several factors that put us at risk of contracting MD. These include aging, smoking, family history, MD genes, hypertension (ie high blood pressure), high cholesterol, obesity, high fat intake, oxidative stress, race (more common in white people than in African Americans), and last but not least, exposure to sunlight (especially blue light). Of the different approaches, anti-angiogenesis macular degeneration treatment seems most promising for wet-MD. Another drug, ranibizumab (Lucentis), that is currently under trial as a form of macular degeneration treatment. What you can do. High levels of antioxidants and zinc help reduce the risk of ARMD setting in, by as much as 25%. So don’t hold back on fruits and vegetables…they might very well save your eyes. Take good care of your eyes, and eat healthily. I’m sure you’d still want to ‘see’ the world in all its glory when you retire, don’t you agree? 1. Anterior:- Seborrheic dermatitis (just like dandruff), and sometimes Staphylococcus bacterial infection, is the main cause of this. 2. Posterior:- This is when the back of your eyelids. This usually happens due to the oil glands found around the area. 3. 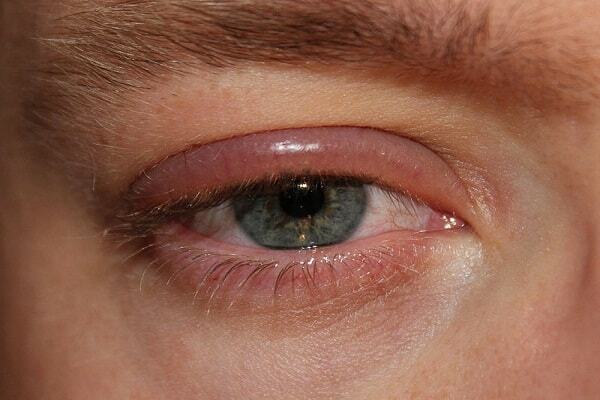 Staphylococcal:- External inflammation of the eyes, and there are no symptoms until the condition worsens. 4. Seborrheic: This is mostly inherited, and is part of the whole range of seborrheic dermatitis. That affects the scalp, lashes, eyebrows, nasolabial folds and ears. While there is no cure available, the good news is, blepharitis treatment is available to help control the condition. Very simply, wipe your eyes with a damp cloth, preferably warm, and firmly massage your eyelids with a mild cleaning agent like baby shampoo. In a nutshell, practice good eye hygiene. I suggest you pay your dermatologist a visit for treatment. He/she will be in a better position to physically examine your eyes and prescribe the most appropriate treatment. 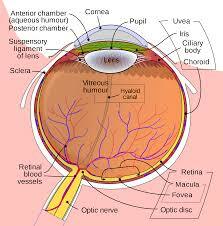 Glaucoma Symptoms Glaucoma Treatment The Eye Disease that may lead to Blindness. Like macular degeneration, glaucoma is also usually age-related. Makes you think twice about wanting to grow old, doesn’t it? Nicknamed “Sneak Thief of Sight”, this eye disease is a result of excessive pressure build-up in the eye that slowly destroys the retina cells and optic nerve fibers. If it’s not treated, sad to say, it can lead to complete and non-reversible blindness. 1. 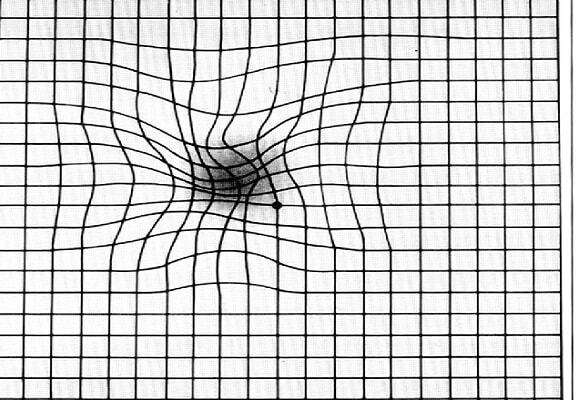 Chronic (primary open-angle): Being the most common, this form gradually destroys vision without any signs or symptoms. There’s also low tension, normal tension and pigmentary forms in this category. 2. Acute (angle-closure): This happens when there is a sharp rise in intraocular pressure and can cause pain and blurred vision. In a short time, it can lead to blindness that cannot be reversed. 3. Primary congenital (buphthalmos): This one affects infants, but is rare and genetic. Their eyes tend to be enlarged and also seem clouded, and tend to water excessively. 4. Secondary: This may happen due to other eye diseases, eye surgery or injury that lead to complications. This eye disease does not have any distinct symptoms, except for the visual loss of vision, which starts out at the side or affects the peripheral vision first. The affected person usually does not notice because the loss of vision is subtle. 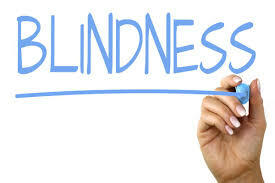 While blindness due to this cannot be reversed, it can still be prevented if treated early. Anybody can be at risk, although certain factors may increase the chances of contracting this eye problem. A family history of this disease, diabetic people, those with a migraine, myopia, eye injuries, hypertension, as well as those who used to or still consume steroids all lead to higher susceptibility. Usage of Eye Drops – This form of treatment is the most frequently prescribed, and the patient must do this diligently. In some cases, the eye doctor may also prescribe certain pills. All this is dependent on each patients situation. Laser trabeculoplasty – This laser eye surgery is performed when vision loss continues despite the use of eye drops. This can be considered outpatient treatment, and the continued use of eye drops after surgery is recommended. Trabeculectomy – When the above remedies prove futile, then this conventional eye surgery is performed to control pressure in the eye and create a new path for excessive fluid in the eyes to exit. My best advice would be to see your ophthalmologist or eye doctor regularly for checkups, especially when you’re above the age of 35. He/she can help you detect any eye problems early, and help treat it. As they say, prevention is definitely better than cure. Astigmatism: What Are The Causes & Symptoms? Do You Need Lasik or Contact Lenses? 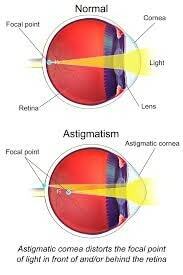 Astigmatism is probably one of the most common eye problems out there. Heck, even I have it! This eye disorder, sometimes called refractive error, happens to almost everyone, to some extent. When our eyes become irregularly curved, and light that enters our eyes get refracted more towards one direction as compared to the other, the objects we are looking at can only be focused at certain parts. These objects are out of focus or look like split images. 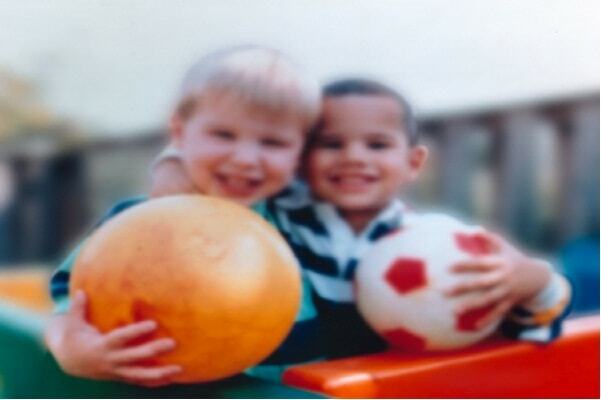 This eye problem usually occurs together with myopia or hyperopia and is usually present at birth. It worsens when you look at things at an awkward angle (or with bad posture), and when you use your eyes for close work too often. Some people experience headaches, feel tired, and have difficulty seeing fine details both near and far. Visit your eye doctor/optometrist/ ophthalmologist at least annually. He/she can help you detect if you have Astigmatism, and may even detect other eye problems you might not have otherwise known about. He/she can prescribe you with a proper set of eyeglasses or contact lenses(toric) if appropriate. While not necessary, refractive or Lasik eye surgery may be performed. The type of treatment differs between individuals. More often than not, if you do not have myopia or hyperopia, you probably don’t need any form of treatment. Whatever the case, don’t engage in activities that inflict unnecessary strain on your eyes. Treat your eyes right…you only have a pair, you know. You’ve probably seen this one before. Yep, this is known as strabismus. This happens when our eyes are not aligned with each other. One or both eyes may look in or out, and even up or down. It may be a permanent case or just occur sometimes. 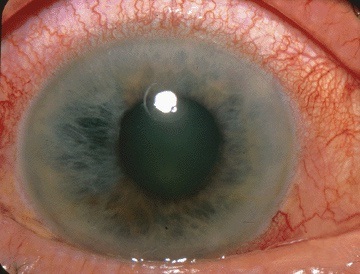 More than 50% of the time, this eye problem exists at birth (ie congenital). Those with this eye disease at birth won’t have double vision, but the depth and peripheral vision may be affected, and they might experience headaches and strain on their eyes. Also, as their brain learns to ignore what one eye sees since their birth, this eye that is ignored will never see well. This kind of vision loss is known as amblyopia. For people who acquire strabismus later in life, this is usually a result of closed head injuries, signs of stroke, and loss of circulation due to diabetes. It’s a good idea to see your eye doctor/optometrist/ophthalmologist if you (or your child) appear to have crossed eyes, or your eyes don’t seem to focus on the same point, or you experience double vision. Usually, eye strengthening exercises are done to help improve the condition. Vision therapy is also conducted to train the brain to align the eyes with the help of computerized optical devices. If both treatments prove unsuccessful, surgery might be another option, done to strengthen or weaken the eye muscles, depending on each individual. With early detection, this eye problem can be corrected. Do not take this lightly, especially if your children have this eye disorder, because of the likely embarrassment they may face since childhood. It’s always better to see things, and be seen, with a straight set of eyes. Oh man, the thought of short-sightedness makes me sigh. I’ve had this dreadful eye problem ever since the age of 10. Well, I can only blame myself for not following proper eye care regimes. Nope, this is not me…but I do feel this way sometimes. Nearsighted people, like me, have problems seeing distant objects clearly, although up-close tasks like reading are not much of a problem. 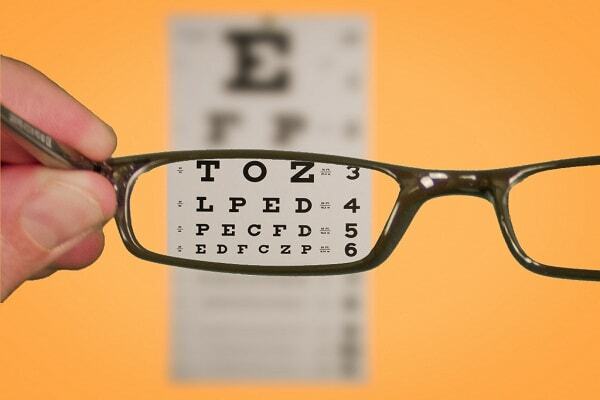 As myopia worsens, the distance at which you can see objects clearly becomes shorter and shorter. Going about your daily tasks also becomes more difficult, especially without the aid of eyeglasses or contact lenses. Personally, I dislike wearing eyeglasses (other than the occasional cool shades!). Contact lenses work better for me because I don’t feel as if I have to put something ‘on my face’. Then again, using contacts is not without its inconveniences as well. In a nutshell, myopia occurs when the eyeball begins to stretch lengthwise, from front to back. As a result, light coming into our eyes focus at a point just before the retina. This is what causes the blur images we see. Of course, the first thing you need to do is visit your eye doctor or optician to get your eyes checked and gauge the extent of your nearsightedness. Usually, he/she will then prescribe you with a pair of eyeglasses or contact lenses that matches your degree. If the myopia is very minimal, then it might be ok not to put on these eye aid all the time. People with myopia have to visit their eye care professional once every few months to get their eyes checked and get a new prescription. But the condition will not worsen endlessly. For many, this eye condition will stabilize at a certain point. Personally, I will opt for refractive surgery instead. Such eye surgery will reduce your degree or allow you to see clearly without any eyeglasses or contact lenses. There are several types of refractive eye surgery, the most common of which is LASIK. (For the geek in you, that stands for laser-assisted in situ keratomileuses). The other methods include PRK (photorefractive keratectomy, similar to LASIK), orthokeratology (using special contact lenses to reshape the eye temporarily) or the use of corneal rings (also to reshape the eye, permanently, but reversible). If your resources allow, I would suggest going for surgery. Can you imagine how nice it would be to see the world clearly without ever having to wear eyeglasses or put on contact lenses? Comparatively, all that money spent on changing prescription eye aid would have made up enough money, even for LASIK. Joanna and I are saving up just for that! Oh, so exciting. Nevertheless, it is always best to consult an eye care professional and see what option is best for you, because individual circumstances always vary. I personally cannot imagine what it feels like to have low vision. Essentially, this eye problem refers to lowered visual acuity, that cannot be corrected even with a conventional prescription. This means that all things appear to blur, even if you put on a pair of eyeglasses or contact lenses. In the U.S. and Canada, this is a specific legal term that applies to someone with a 20/70 or less vision in his/her better eye, with correction. This eye disorder can be a result of certain birth factors (eg Leber’s congenital amaurosis) or acquired factors (eg age-related macular degeneration). There are some people with low vision who can still go about their daily activities just by relying on their residual vision, ie what’s left of what they can see. A specialist can make use of telescopic systems or optical/electronic magnification to optimize this residual vision. When we talk about blindness, more often than not, I would think we are simply talking about not being able to see at all. I mean, that’s probably what most people mean, don’t you think? Well, apparently, it’s not that simple…there’s more to it than meets the eye. First of all, there’s the legal version of it. Yes, I do mean what the law says it should be. For simplicity’s sake, whenever we talk about this eye problem here, let’s just assume we mean “totally can’t see”, alright? Sometimes, abnormalities like optic nerve hypoplasia, or even something like eye injuries, can lead to such vision loss. While one may not necessarily acquire the powers of the DareDevil, there are tools and aid available to help make life easier. For starters. Those who are visually impaired can take a white cane. Which is recognized internationally as a symbol of blindness. Alternatively, they are blind people who are already capable travelers, guide dogs can use the help. Moving on, looking ahead Although life might be more difficult without the sense of sight. I believe the blind can still live their lives to the fullest and make miracles happen. Maybe understanding the likes of what Andrea Bocelli, Ray Charles or Stevie Wonder have been through would put things in another perspective. Presbyopia is an eye condition, a weakness if you must, that happens naturally after you enter your 40s. With age, your eye muscles, just like any other muscle in your body becomes less supple and less flexible. This condition is different from nearsightedness. This mainly happens because, progressively, the lens becomes a little hard, making it difficult for it to change focus when reading finer, smaller print. Loss of elasticity and flexibility within the muscles surrounding the eye lens makes focusing difficult with age. There are two main ways of dealing with this eye problem. You can either opt for eyewear like eyeglasses, reading glasses, bifocal lenses or you can go in for surgery to correct your presbyopic condition. Bifocal basically means glasses that offer you two spots of focus – a prescription for nearsightedness in the main part and a stronger one for reading or other close work in the lower area of your glasses. You can also opt for reading glasses that can help you see better. These need to wear only when you need to do some work up close, unlike bifocal glasses which are for all-day wear. Multifocal contact lenses are also a viable option to contain presbyopia. Another contact lens type is monovision. Here one eye wears a near vision prescription and other carries a distance vision prescription. This can offer relief to some, while others find it a little disconcerting. Surgery for presbyopia is still in its nascent stages. One prominent option is keratoplasty. This procedure involves altering the curvature of your cornea with the help of radio waves. 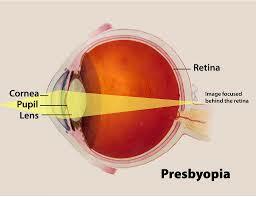 All said and done, aging of the eye is natural; therefore presbyopia is also a natural weakness. Find the best option suiting our budget, requirements, and choice and wish all your presbyopic troubles away! If you think about it, calling it ‘pink eye’ does makes this eye infection sound less serious than it should be. Then again, we should never be too worried about any condition, and instead stay calm and search for the appropriate steps to treat any eye problems. It’s better that way, isn’t it? Also known as conjunctivitis, it occurs when our conjunctiva is inflamed due to infection. (If you’re like me and don’t know what conjunctiva means at first, it’s the part where your eyeball and eyelids meet). 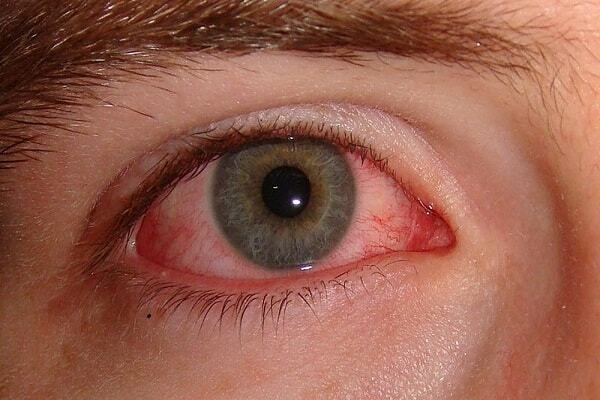 The three most common forms of pink eye are viral, allergic and bacterial. When this happens, your eyes appear red, watery and you also feel irritated. Sometimes, your eyes may feel itchy as well. Treatment is relatively simple and varies depending on the type of conjunctivitis. For mild cases of the allergic type, cool compresses and artificial tears can be used. If it’s more serious, your eye doctor might prescribe antihistamines and medication (non-steroid) that help reduce inflammation. Those with more persistent conditions may require topical steroid drops instead. Anti-biotic drops, that help fight a broad spectrum of bacteria, is commonly prescribed if the condition is bacterial. The treatment for a viral eye infection is similar to that of an allergic one, and the infected person usually gets better within three weeks. To be doubly sure, it’s always better to consult an eye care professional to determine the exact type and receive proper prescription treatment.